Best-case scenario for Tyler Wotherspoon? A $249,000 pay cut. Worst-case? A $55,000 raise. The Calgary Flames came to terms with the first of their league-high four remaining restricted free agents on Monday. The 23-year-old defenceman agreed to a one-year, two-way deal for 2016-17 that per General Fanager consists of a $625,000 salary in the NHL or $125,000 in the AHL. What left many scratching their heads was the NHL number. Just $50,000 above the league minimum, it is nearly a quarter-of-a-million dollars below what his NHL salary would have been had he accepted the qualifying offer made by the team in June, which would have been for a smidge over $874,000. There are two catches: 1. The AHL salary. 2. Sometimes an NHL salary that's too rich can work against a player not yet established. In Wotherspoon's situation, CBA guidelines for a qualifying offer are that it include a five percent raise on what his NHL salary was in his last deal. In his entry level contract, his NHL salary was $832,500, after you remove the signing bonuses. However, the AHL salary component of a two-way has no inflator, so that qualifying offer would have been for a repeat of the $70,000 he made in Stockton last year. It's one thing and almost expected for the player to show bravado, self-confidence and an air of invincibility when it comes to such a situation and accept the more lucrative deal with the greater NHL wage. After all, this is for sure the season that Wotherspoon breaks through, right? But sometimes there's more to it. Where the player agent enters the picture is it's his job to be smart about it. It's his job to not think with his heart, but think with his head and act in the best interests of his client long term. Given Wotherspoon's limited NHL resume -- just 26 games so far -- the decision was made to pass up that more lucrative potential NHL pay cheque to negotiate a deal that while cheaper could end up ultimately working out better for the client. At the same time, it also provides a more lucrative safety net in the worst-case scenario of a return trip to Stockton. "It's a time in my career where I still need to prove myself and be able to show that I can be a full-time NHLer," said Wotherspoon on Monday from his off-season home in Surrey, B.C. "I'm looking for that opportunity this year, to come out of the gates strong, stick with the big club and show that I can be there long term." You may be thinking that being waiver-eligible now, doesn't that mean he will remain in the NHL? 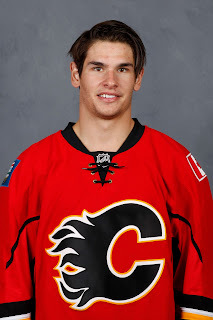 That the Flames wouldn't dare demote him to the AHL and risk losing him to another NHL team by putting him on waivers? Well, that's what Joni Ortio thought last year too. Instead, the goaltender played poorly, was placed on waivers, went unclaimed and landed back in northern California. If Wotherspoon has a disappointing camp and the Flames choose to put him on waivers to assign him to Stockton, chances are other NHL teams will also not be interested enough to disrupt their own 23-man NHL roster to create a space for him. The other angle for the agent to consider is are the odds of playing in the NHL better for his client if his salary is lower? For a young player, logging more NHL games, however he can get them, is often the top priority. On cap teams, a lower NHL salary could be the path to that. Think about it. Until Johnny Gaudreau and Sean Monahan sign, Calgary's proximity to the salary cap's upper limit remains unknown. That said, it's common sense that if the team ends up tight to the cap (remember in 2008-09 when the team was so close to the cap they weren't even able to dress a full 20-player line-up over the final month), a defenceman at $625,000 could end up being a more attractive call-up option than a guy making $925,000. If Wotherspoon does stay up with Calgary the entire season, sure it will be disappointing short-term to only be making $625,000 compared to what he could have made, but that still makes for a decent payday on the 15th and 30th of every month for a guy in his early 20s. I don't think he'll need to use a Treasure Chest coupon book when he goes out to eat. On the flip side, making $125,000 in the AHL versus $70,000 is a lifestyle changer. Think about your own job and how much your quality of life would improve if your manager called you into their office today and offered you an 80 percent raise on what you made last year. The other thing to consider is should Wotherspoon play this season in the NHL, he should recoup any lost salary in no time as he'll go into negotiations next summer in a much stronger negotiating position. 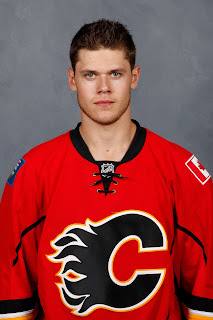 Also noteworthy is next off-season will be one of significant change for the Flames blue-line. Contracts for Dennis Wideman, Deryk Engelland and Ladislav Smid will have expired and chances are Jyrki Jokipakka could get plucked by Las Vegas in the June expansion draft. The net outcome will be plenty of job openings and perhaps more importantly for a player in line for a new deal, a lot of freed-up spending money for the GM. "Everybody is curious what is going to happen next year," says Wotherspoon, who has logged 162 AHL games. "As part of the business, you think about those things and what may happen as they play out. If there's an opportunity where I play well this year, it gives me more playing time next year or so be it. But I just want to focus on the current and making the team because that's all I can control right now. Let next year play out as this year moves on." 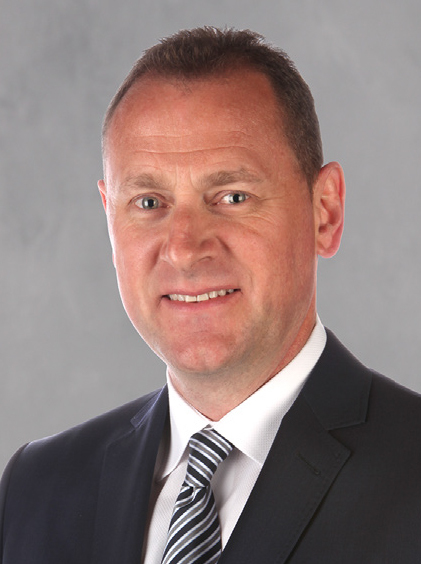 Assistant general manager Craig Conroy says it will be important for the team so see this season what they've got coming because with the big three taking up over $17 million, they'll need to have some value contracts on the blueline. "The only way you're going to do well in this league now is get your core guys and then have young guys come up, earn spots and become your core guys," says Conroy. "You can't go out and just keep signing unrestricted players, it just gets too expensive." Being waiver-eligible can be a career game-changer for Wotherspoon this season is it puts the onus on him. No longer can he be sent down to the minors -- regardless of how well he might be playing -- just because the organization can. 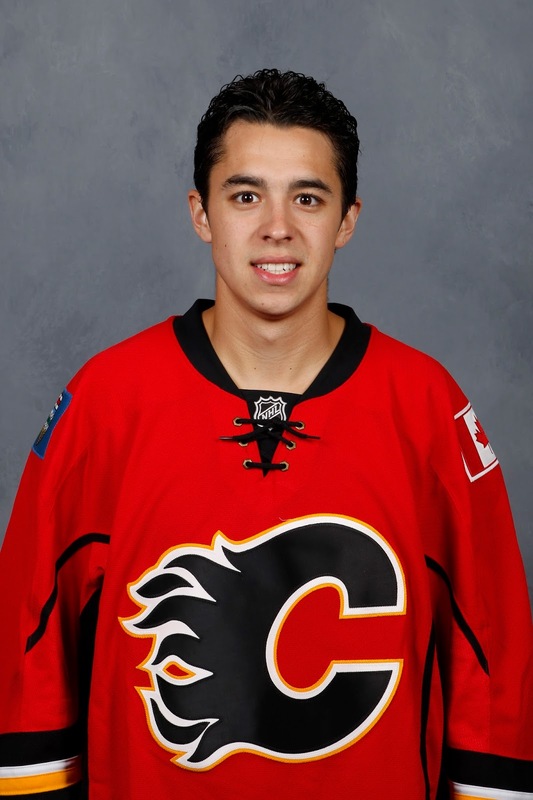 Now, Calgary must expose him to the league's other 29 teams if they want to do that. He admits it changes your viewpoint a little bit as now you're looking to showcase yourself to the rest of the league too. "I'm not only playing for the Calgary Flames but I'm going to go into camp to show that I can play in the NHL," says Wotherspoon. 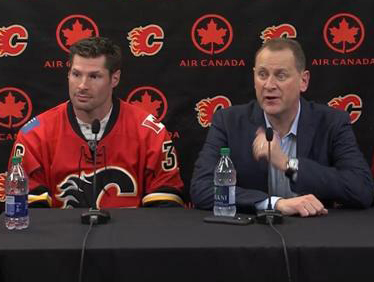 "If Calgary's numbers don't work out, I'm also playing for my job. Anything can happen. My goal in the end is to play in the NHL, show every team out there, especially Calgary, that I can play there." At the end of the day, players are independent contractors that have to look out for themselves. 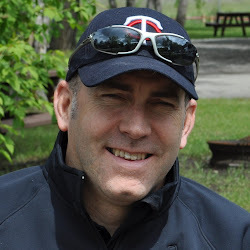 "Calgary has been great to me over the last three years. they obviously drafted me and helped me out lots along the way, and that's where I want to be, in Calgary and playing for this team," says Wotherspoon. "But things happen and it's a business and in the end, I just want to be where I'm wanted and where I can help out the most." Conroy says there will be legit opportunity this fall. "When you're a player, you're always looking at depth charts, you're always looking at who has one-way contracts and is there an opportunity for me," says Conroy. "If you look at where we are, I think there is an opportunity. We have young guys in the American League. We have a spot or two, depending on how guys play. If a guy plays so well, we're going to make a spot for you." Wotherspoon says he's anxious to get started with new head coach Glen Gulutzan. "Oh, I'm excited. Everything I've heard about Glen has been all positive and great things," says Wotherspoon. "He seems like a great guy, great coach, and I'm just looking forward to getting training camp started." Two years ago, it wasn't until his fourth call-up of the season that he actually drew into Bob Hartley's line-up and it was the meaningless regular season finale in Winnipeg. You can see how a player might conclude that the coach didn't have a lot of faith in him. 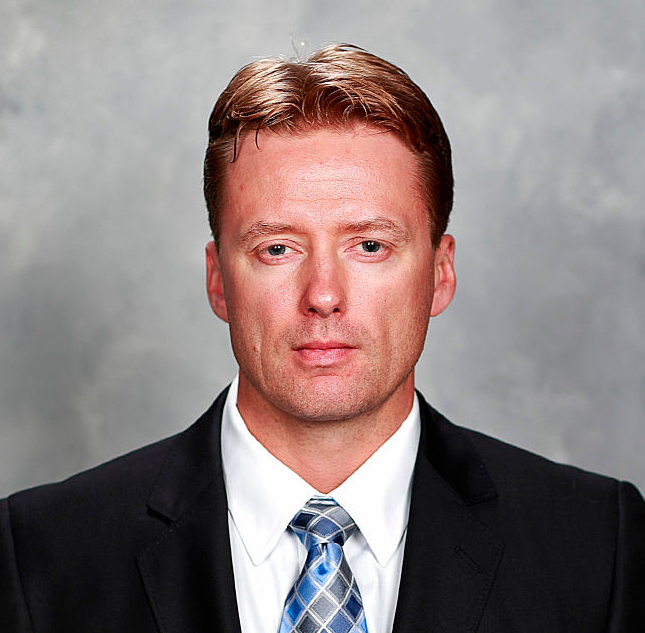 First impression from Gulutzan has been quite the opposite. After speaking with him for the first time a couple days ago by telephone, Wotherspoon says he is feeling good. "He told me he's happy that the negotiations have finalized. Now we can look forward to training camp and that he's seen me over the last couple years with my last couple stints and that he's excited and believes in me," says Wotherspoon. "It's always nice to have the head coach have some confidence in you. It just makes you that much more anxious for training camp to start." Much like how Treliving did his own background checks before hiring Gulutzan, Wotherspoon's network of hockey connections have provided him with his own intel on his new boss. The reviews have all been good. "I know (former Portland Winterhawks head coach) Travis Greene really well, who is with the AHL affiliate in Vancouver, and he's said great things about him," said Wotherspoon. "We've never met personally but I know a lot of guys that know him and every person I've spoken to has said great things about him and the way he's coached. Even players that I know that have been under him have said great things so I'm excited to meet him and get the season going." Conroy says the fresh start is not just an opportunity for Wotherspoon but for many players. "With a whole new staff, everyone is starting with a clean slate," says Conroy. "Obviously I think they know Gio and Brodie and those guys but hey, there's opportunity there. "I just see this as a great opportunity for Wotherspoon. I'm pumped that he's signed and we've got him back in the fold and he's got a comfort level now. He knows what it's going to take and now he's got to come in and take a job, take one of the jerseys and say, I'm not leaving, I'm staying." Wotherspoon comes into camp coming off a strong finish to 2015-16, a turnaround kick-started by being made a healthy scratch by Stockton coach Ryan Huska for a game in January. "He was playing OK but the urgency and the push that we wanted to see with him just wasn't where it should be and what he was capable of," said Huska about the decision. "It was a tell-tale time of his year in regards to how he would handle it and he handled it the right away by making himself better because of it. From that point, he was a lot more dialed in. He was a lot more engaged. I think it was just a reminder of how hard he needed to play and work every day." Reflecting on that moment, Wotherspoon says it was decision time for him. "At that point in the year, as a lot of players are, they can get frustrated. I was at a point where I felt like I just wasn't having the year I wanted to be having," says Wotherspoon. "I felt I had a couple good stints up in Calgary, I felt like I could play up there. It was a part of my year where I was frustrated, wasn't getting the results that I wanted. Maybe sitting out that game, made me realize that I just need to buckle down and work hard and worry about myself and just do the best I can because I know I can be a good player. From then on, I let all the thinking go to the side, and just let my play do the talking and just starting working harder to focus on that." Resurrecting his status as a key go-to defenceman for the Heat eventually led to a call-up to Calgary, an opportunity in which he took full advantage. Over the 11 games he accumulated, he averaged over 14 minutes of ice time. While that is still a small sampling, of all the Flames to play at least 10 games, he finished with the highest SAT% at 53.39. Aka Corsi, that reflects the ratio of shot attempts created versus given up while on the ice at 5-on-5. He passed the eye-test too, looking more confident and assertive on the ice. "Over the last three years, I've really matured as a player. Having the ups and downs of getting called up and getting sent down and has really taught me a lot," says Wotherspoon. "At the end of last season, I tried to push as hard as I could to show them that I'm still a player that can play in the NHL. I feel like I did that with my call-ups and that they still believe in me and it set me up for this off-season to be more excited about next year." Wotherspoon has spent most of his summer back home in B.C., other than a couple trips to Portland, Oregon, which is the hometown of his fiancé. The wedding is planned for next summer. An admitted big Olympics follower, the other thing keeping him busy besides the regular off-season training has been watching the Summer Games in Rio. "Trying to catch as much as possible, whenever I'm free. I'm a big track fan so seeing (Andre) De Grasse perform against (Usain) Bolt. That was big to watch," says Wotherspoon. "I loved all the hype leading up to it too. It's fun to watch and Bolt himself, I liked being able to witness that and also see a Canadian do so well." Heck, with a breakout season for the Flames in 2016-17 and with a top-four role potentially lying in wait a year from now, Wotherspoon could be the subject of the hype around Calgary a year from now. If so, he could also be in line for a nice raise too. 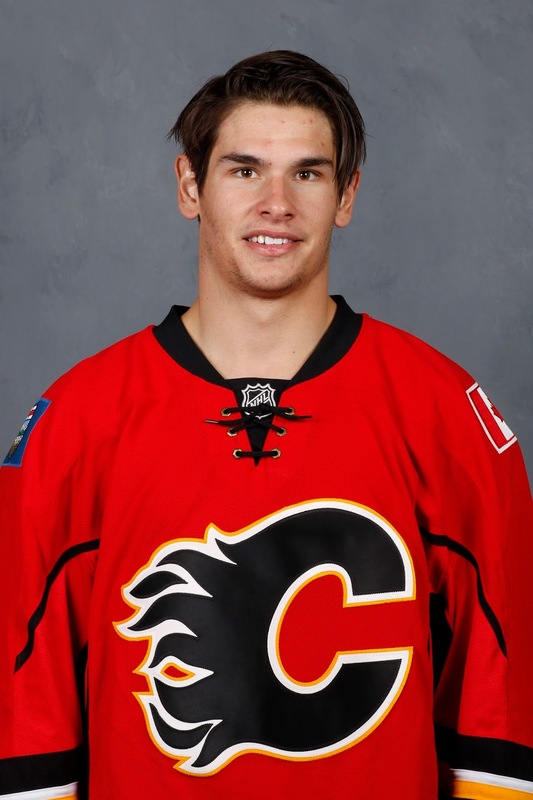 "Around the league, he's still a bit of an unknown at the NHL level," says Conroy. "But if he can get into a bunch of games this year, that next contract when he comes calling, he's going to be looking for more -- one-way and bigger money." Wouldn't that make for a nice wedding gift. 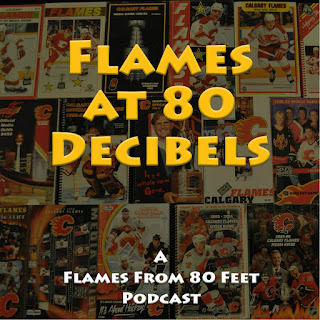 Determined to quench your thirst for off-season hockey talk, I recorded another podcast this weekend. On Saturday, the always-entertaining and well-connected Ryan Leslie stopped by my home recording studio (aka my kitchen) and together, we ripped off episode No. 4. The former Sportsnet broadcaster and current host of Flames TV had the distinction of being the first to join me in using my new Blue Yeti microphone. So yet another milestone achieved as I slowly but surely figure out this world of podcasting. That said, there were still some learnings. Standing out this time was how noticeable it is when someone (first name rhymes with Bryan) taps his hand or fist on the island, in which the microphone was placed. Yes, that's what that thumping noise is that you'll hear periodically. I was able to dampen it in post-production but not remove it. But hey, Ryan is a passionate guy on some of the topics we discussed so it's all good. Hopefully the body language comes across in the final product. Ryan takes us behind the scenes with a glimpse into what happens on Flames charters, etc. Who will log the most games on RW on the top line? Who will the coaching change benefit the most, and who could be negatively impacted? What is the one thing that despite the sunny and optimistic outlook, could turn the upcoming season into one of dark and cloudy skies. This remains a work in progress technically, especially fumbling my way through post-production but I'm learning something new every podcast and I think they're sounding great. I appreciate your patience and thanks for listening! When you spend most of your time staring at your own backyard, it's easy to find faults. Crabgrass in the veggie patch, black knot fungus in the lilac bushes, a couple patio blocks not quite level. If you have too much time on your hands as is often the case in the summer, it can become all consuming. You start dwelling on it as you sit on your adirondack chair, sipping your morning latte. Sometimes the best remedy when you're suffering the backyard blues is to go for a walk. Throw the leash on the dog, download Pokemon Go (or your favourite Flames podcast), whatever it takes, just get out there and take a look at how other backyards in the neighborhood are doing. Chances are, once you see the strewn mess that exists in most people's backyards, you'll return home feeling a whole lot better about your own situation. There's been a lot of debate about the contentious Troy Brouwer free agent signing on July 1 for four years and $18 million. Critics suggest the $4.5 million will hurt the Flames down the road. Too much money and for too long of term has been the popular refrain. While I fully agree Brouwer at $3.5 million annually for three years would have been a far more palatable pact, that offer wouldn't have got it done. Well some will argue then it should never have happened, I do understand where general manager Brad Treliving and the Flames are coming from and why they were willing to pay a little more and go that extra year to get their guy, in what was a weak free agent class. Proven Goal Scorer - With 140 goals over his last seven seasons, that's an average of 20 per season. While that will eventually drop off, there is no indication a decline is imminent, especially if he ends up seeing time on the top line. Right-Hand Shot - Some left-hand shots are capable of playing right wing, but they still shoot left. The team specifically wanted to add a right-shot at forward on the power play as it makes for a different look, makes it harder to defend and should generate better results. Good Penalty Killer - Calgary was the worst shorthanded team in the league last year. New personnel should be considered a plus. Leader - 'Good in the room' is cliche, but there's truth to it also. Whether you're constructing a company or a sports team, leadership is a necessary ingredient. 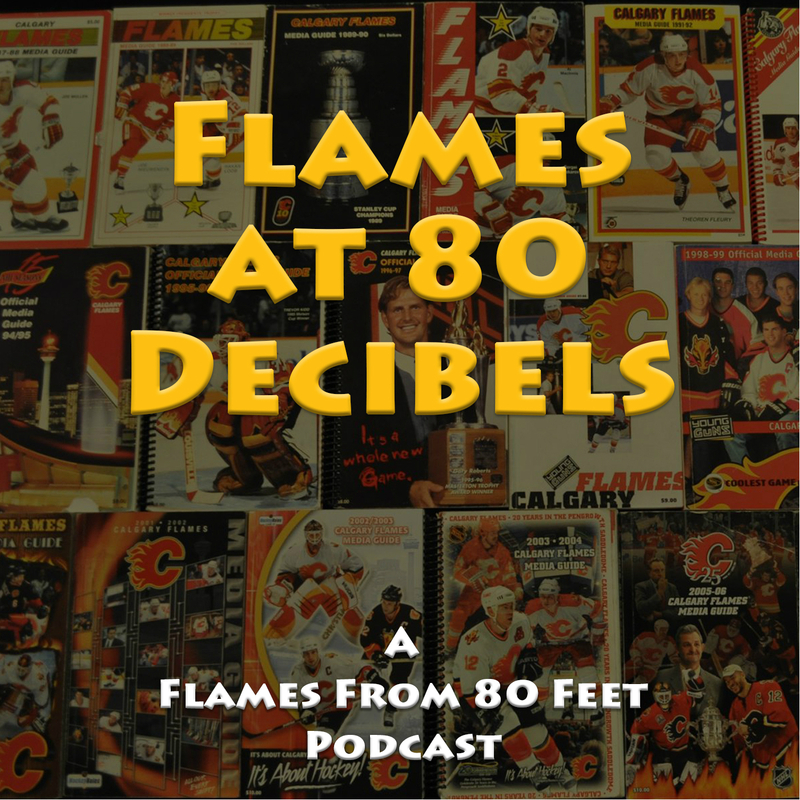 The Flames have older players in Matt Stajan, Deryk Engelland and Dennis Wideman, but the date on one's birth certificate does not make you a leader. If the dressing room is in need of a guy that is vocal and not afraid to challenge guys a little bit, Brouwer comes with that reputation. Big-Game Experience - He's played in twice as many game 7's (eight of them) as Mark Giordano has played playoff games. At 15 post-season series, that's more than the number of playoff games for most Flames players. His 98 playoff games dwarfs the next guy on the list, which is Dennis Wideman at 55. With Wideman likely gone after this season, that would leave Michael Frolik next at only 38 post-season games. You can dispute the importance of so-called intangibles like leadership and experience and there are certainly some, who overvalue them, but they are a significant part of Brower's make-up and believe in them or not, it's those qualities that made him such a coveted player for Calgary. The Flames are a team that has its sights set on the playoffs and it's at that time of year in particular where I'd expect Brouwer's value on a young and inexperienced team to go up exponentially. Is it a Weed or a Yellow Flower? Is it really that horrible of a deal? I get that a four-year contract starting at age 31 doesn't sound ideal. After all, it wasn't that long ago that Curtis Glencross, just one year older at that time, was told by 30 NHL GMs to go back to ranching. But then again, then there's a guy like Joel Ward, who has many of the same qualities as Brouwer. San Jose's rugged right-shooting winger has a nice scoring touch, a reputation for playing his best in big games, is a good penalty killer, isn't bad on the power play and was a key cog for the team last season. He sniped 21 goals and 43 points in the regular season and notched another seven goals in the playoffs -- tied for third on the team -- as the Sharks made it to the Stanley Cup final. Ward's similarities to Brouwer go back to the start -- Ward went undrafted, Brouwer was a 7th round pick. Where they differ is Ward's impactful 2015-16 season, the first of a three-year deal, came at age 35. That's one year older than Brouwer will be after playing out the final year of his deal with the Flames. What even the harshest of Brouwer skeptics can take solace in is when you look around, you'll find there are worse contracts out there, many of them in the same neighbourhood. For the sake of argument and scratching the Ward testimony from the record, let's say the Brouwer contract is for one year too long and regression will set in at age 34. Damn, there is potentially all sorts of black knot fungus in that group. I would argue that many of the contracts on that list will turn out to be bigger headaches than what Calgary will be faced with. Look beyond forward and there are others in the division too. Arizona goaltender Mike Smith, 34, still has three years remaining at $5.7 million in annual average value. You wonder if he hasn't already been passed on the depth chart. Ideally, every player would agree to sign only for what they're worth and all contracts would be designed to either terminate or drop in average annual value as players age and their skills erode. If only there wasn't an NHLPA. Of course, as Jaromir Jagr and Alexander Semin have demonstrated, the age at which decline happens and how severe the drop-off is, is something that can vary significantly from player to player. But, no world is perfect, especially not the world that is the National Hockey League. Consistent with any industry in which there is an element of supply and demand, certain players that are in limited supply due to their attributes will cost more. They've got the leverage, it's that simple. They will also often get longer term than ideal because once again, they can. The reality is sometimes you need to overpay -- sometimes in average annual value, sometimes in term, often in both, to get what you need. Especially if you have identified a pressing and very specific need. The theory at work is you're better off overpaying for exactly what you need, than paying less for someone substandard, who doesn't address what you're looking for. Oh, we all yearn for a pristine backyard. Lush grass, koi pond, natural stone waterfall, perfectly level stained-concrete patio. But that is the stuff of dreams and HGTV. Back to reality, even the Stanley Cup champion Pittsburgh Penguins, as nice as their backyard looks with Lord Stanley's mug perched in the middle, still has some rough patches. Marc-Andre Fleury, owned $5.75 million the next three years, will be an expensive back-up goalie the next few years if Matt Murray remains the starter. Chris Kunitz soon turns 37 and has another year to go at $3.85 million. Sure, three years from now, that contract of Brouwer's may end up hurting the club but while that's a factor to consider, it should not be a reason to not do it. If you identify him as a piece to the puzzle that can help you win right now -- as in the next two-to-three seasons -- that's your risk-reward equation. As you gaze into your backyard, it's easy to start daydreaming and lose yourself in what could be years down the road. But sometimes you need to live in the present too. As they say in baseball, flags fly forever.